After 600m turn L to reception. At new highway start immediately take first exit left (MR7) towards Lomahasha / Simunye. Do not continue on new highway towards Hlane town. Depart Maputo on the EN2 past Matola and Boane. Approximately 5km after Boane turn left onto the EN5, passing the quarry on your right. Continue straight with this road to enter Swaziland at the Namaacha/Lomahasha border post. 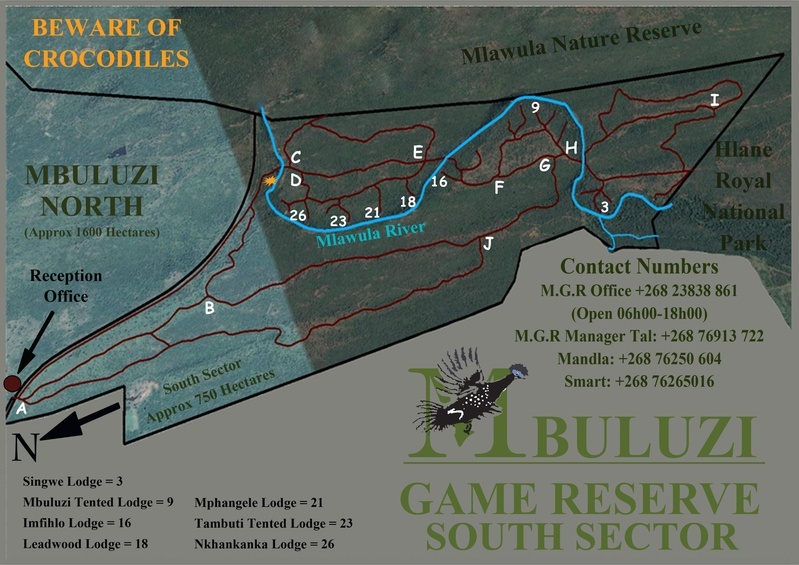 Continue on the road, cross the bridge over the Mbuluzi River and turn left on the tar road after the bridge. 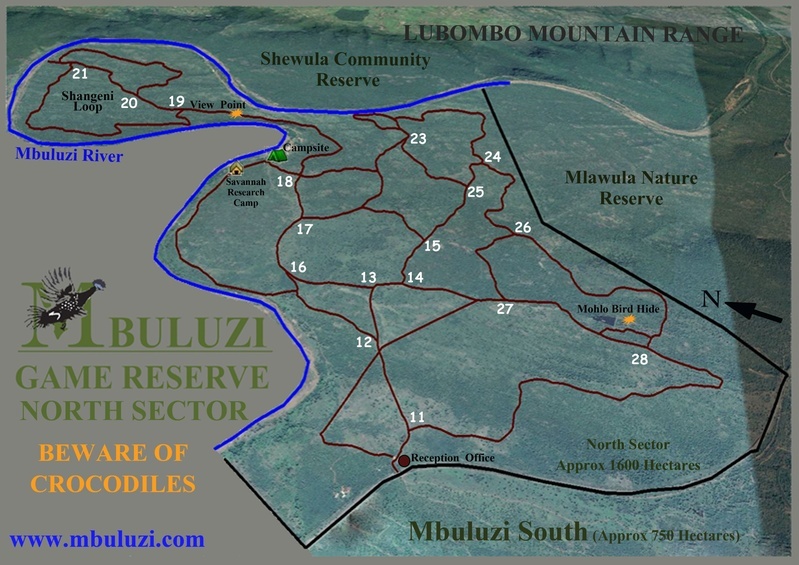 Mbuluzi Game reserve is 600m on the left.